Michael West is a textbook example of the kind of expert witness most lawyers avoid. The controversial bite mark expert is, in the words of Randy Balko, “brash, prickly, and prone to fits of braggadocio on the witness stand,” as well as “belligerent, profane, and combative.” Those are not qualities that endear a witness to the jury. As ExpertPages pointed out last year, West has acknowledged that bite mark analysis is, by its nature, unreliable. Yet Balko reports that West, while disclaiming bite mark analysis in general, still defends his own work. Balko reports that West claimed to have invented new techniques of bite mark analysis “that he and only he could perform.” That claim should have cast doubt on his credibility, since the ability of one scientist to replicate the results obtained by another scientist is a hallmark of credible scientific research. Yet prosecutors continued to present West’s work to jurors as the gold standard in bite mark analysis. 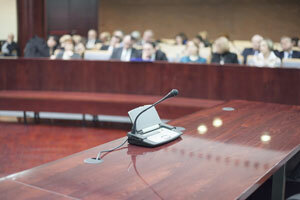 Credible expert witnesses generally specialize in a limited number of related fields. Experts who claim to have a specialized understanding of several unrelated areas of science risk being viewed as experts in the art of getting hired to testify as often as possible, rather than experts in a particular field. West broke that rule by testifying as “an expert witness in a variety of forensic specialties, including a few he claimed to have invented.” According to Balko, West testified as an expert in trace metals, wound patterns, gunshot residue, gunshot reconstruction, blood spatter, tool marks, fingernail scratches, and liquid splash patterns. He also claimed to be an expert in video enhancement and crime scene investigation. Credible experts are typically members in good standing of relevant professional organizations. West was investigated by three professional organizations and either resigned, or was expelled, from each of them. He attributed those investigations to a conspiracy to destroy the science of bite mark analysis. Asked about two wrongful convictions of innocent defendants that were based at least in part on his testimony, West refused to acknowledge that the defendants were innocent. Despite the fact that DNA evidence and a confession by the real killer exonerated the defendants, West continued to insist that his bite mark analysis proved the guilt of the defendants. Both were released from prison after the State of Mississippi agreed that they were innocent. Credible experts admit when they are wrong. They are not afraid to address potential weaknesses in their conclusions. They take note of new developments in science that might invalidate their positions. Experts who refuse to acknowledge the possibility of error and who defend positions that are no longer defensible impair their value to lawyers as expert witnesses. Balko quotes extensively from testimony that West gave in a deposition. The case involved a man who was convicted of murder, in part on the strength of West’s bite mark testimony. New DNA evidence revealed that the convicted defendant was almost certainly not the murderer. West was consistently arrogant and combative during the deposition. He insisted that he stood by his previous testimony, although he claimed he did not recall the testimony and refused to review it. He referred to the attorney who was questioning him as a sociopath and said the attorney would need “five years of improvement” before he would rise to the level of “jerk.” He also described the attorney in profane terms. West complained that the defense attorney was picking on him. He complained that he wasn’t being paid for his deposition testimony. He testified that his involvement in the case ended years earlier, that he was not responsible for the jury verdict, and that he did not care if they put the defendant to death. West referred to other experts in bite mark analysis as idiots and fools, among other contemptuous descriptions. Disparaging other members of a profession by making personal attacks only serves to make an expert look weak and small-minded. Effective experts are cordial, humble, and sensitive to the impact that their testimony might have on parties to litigation. Through their testimony, they reveal that they are servants of the truth, not advocates for any party who is willing to pay for their time. Expert witnesses can learn from Michael West by viewing him as an example of an expert who did everything wrong.